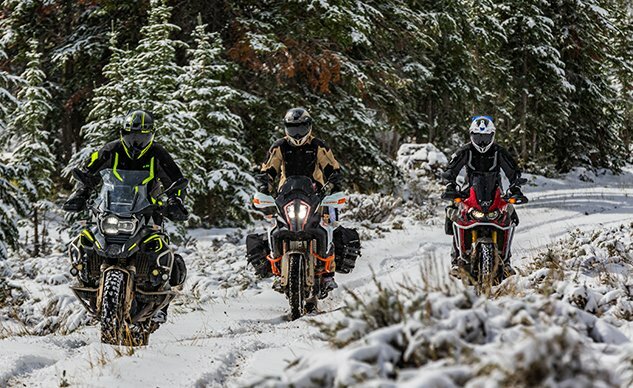 Heated grips are nice, but some people like to ride even when hot grips aren’t enough to keep your digits from freezing. For those hardiest of hearties, there’s the electric heated glove. Some come with their own rechargeable lithium ion batteries, some plug into your bike’s electrical system (or into your heated vest). Here’s a smattering of the ones people seem to like best. Gerbing is headquartered in the Netherlands, where they know a little about cold and damp. 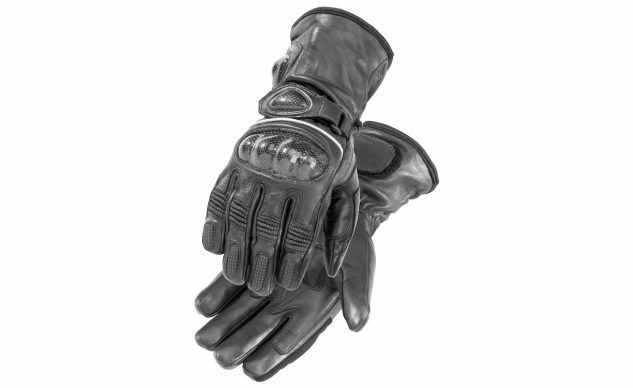 These are made of aniline cowhide leather, with microwire heating throughout, to the tip of every pre-curved finger for a nice fit. A high-impact TPU floating knuckle protector helps protect from impacts, as do gel pads at the palms. An Aquatex breathable water-resistant membrane should keep you dry but not clammy, with 150 grams of Thinsulate insulation. The index fingers are touchscreen compatible. These are supposed to put out a maximum heat of 135°F, while consuming 26 watts of juice. 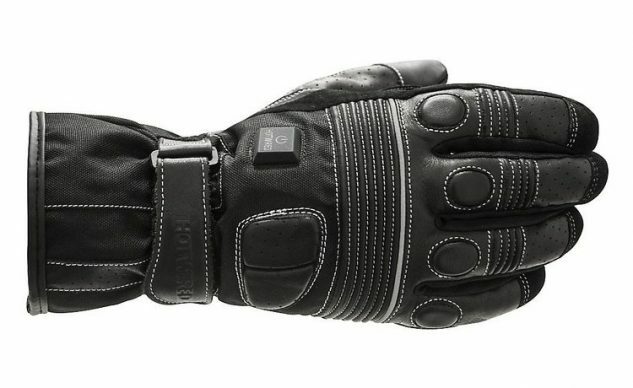 For shorter hops, lots of cool riders are ditching the hassle of cords for lithium battery powered gloves like these – which are supposed to be good for: 4 hours on low heat, 3 hours on medium, and 2.5 hours on the high heat setting. These Highway 21s are genuine leather, with a waterproof, windproof and breathable Hipora liner and 100 grams of Thinsulate insulation. They, too, have touchscreen compatible fingers, armored knuckles and pre-curved fingers. These get high marks too. A 600D textile and leather fabric outer over a brushed fabric lining with comfort insulation provides wind and abrasion protection. 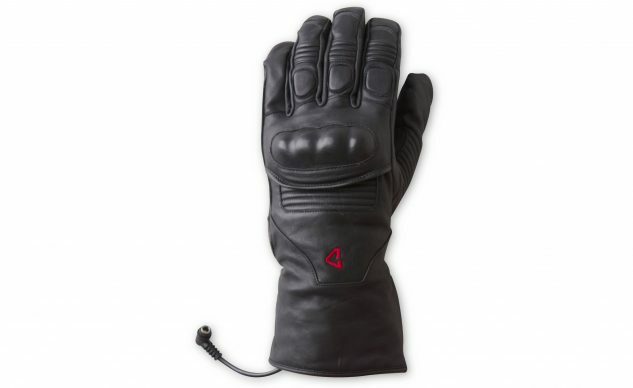 You can use the three-level heat controller built in to each glove, or combine the gloves with the pre-wired Hotwired Heated Jacket Liner 2.0 and its designated controller, and still have independent control over each glove. These come with a two-year warranty, and consume 22 watts of power. 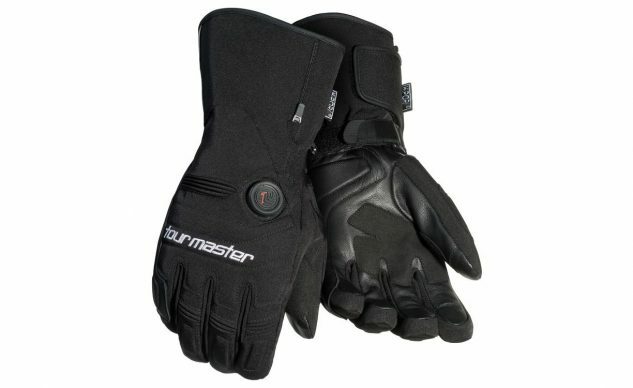 Tour Master makes them in men’s and ladies’ sizes, and both have 5-star ratings. They’re powered by two 7.4v 2.0Ah rechargeable lithium-ion batteries and come with a dual charger that should keep your paws warm for 2.2 hours on high and up to 8 hours on the low temperature setting – and there are two more settings in between. Stretchy heavyweight polyester and spandex blend fabric in the backhand, fingers, and gauntlets mate up with goatskin palms and pinky fingers. A HiPora waterproof, breathable membrane blocks out moisture while 80g of polyester insulation and fleece lining keeps the warmth in. Touchscreen compatible index fingers and thumbs. These seem like really nice gloves. Aerostich knows its cold-weather gear, and it says these are the nicest and warmest battery-powered heated gloves it offers. 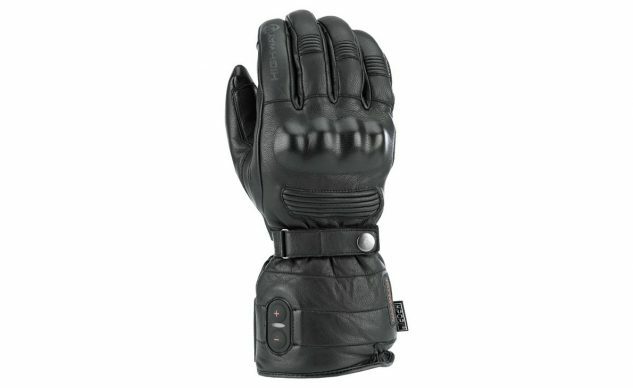 “Premium full-grain leather outer shell and palm offer rugged durability, while the combined 150g Primaloft plus 100g Heat Lock insulation and a removable DryHand insert provide sublime comfort with all-day windproof, waterproof, breathable protection.” A soft power button on the back of each glove activates the flexible heating panels covering the back of each glove and wrapping around the fingers; four adjustable heat settings provide up to six hours of warmth from each rechargeable Li-ion battery. 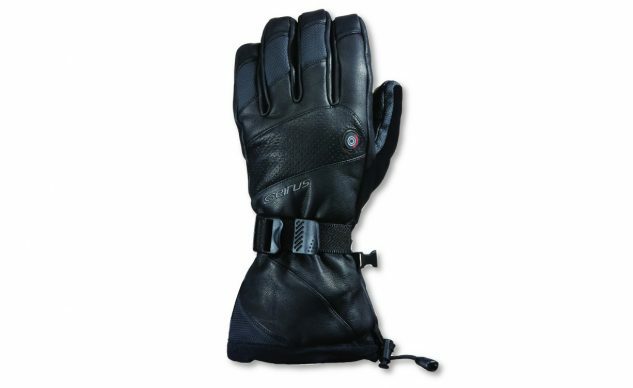 Another possible option, if you already have plenty of nice gloves you’re attached to, is heated glove liners. 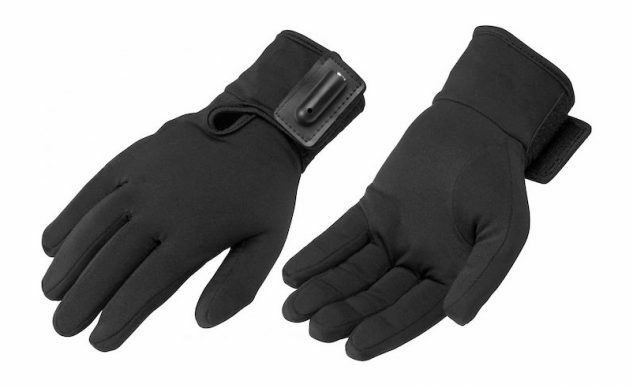 Firstgear says these babies are made of stretchy 95% polyester/ 5% spandex fabric that’s thin, light and comfortable, and should slide right inside your existing gloves (unless they’re really snug). These are going to consume 22 watts, and you’ll also need to buy a DC Coax Plug Y-Harness unless you plug them into your Firstgear jacket liner.